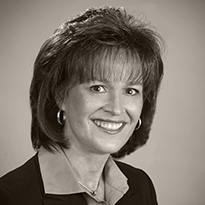 Cheryl Heisten joined Rich & Cartmill, Inc. as a Customer Service Representative in Life and Employee Benefits in 1983. In August 2000 she was promoted to producer in employee benefits, responsible for selling and servicing employee benefit plans to both large and small businesses. Cheryl first worked for New York Life in 1978, and has over 40 years experience in the insurance industry. Cheryl attended Oklahoma State University. She is a member of the National Association of Health Underwriters, as well as the Tulsa Chapter. Cheryl and her husband live in Broken Arrow where she enjoys aviation, the outdoors and spending time with her family. She is a member of Kirk of the Hills Presbyterian Church.